Can you learn to analyze? One of the most perplexing problems facing those in CI is analyzing raw data. It is certainly not for lack of tools. 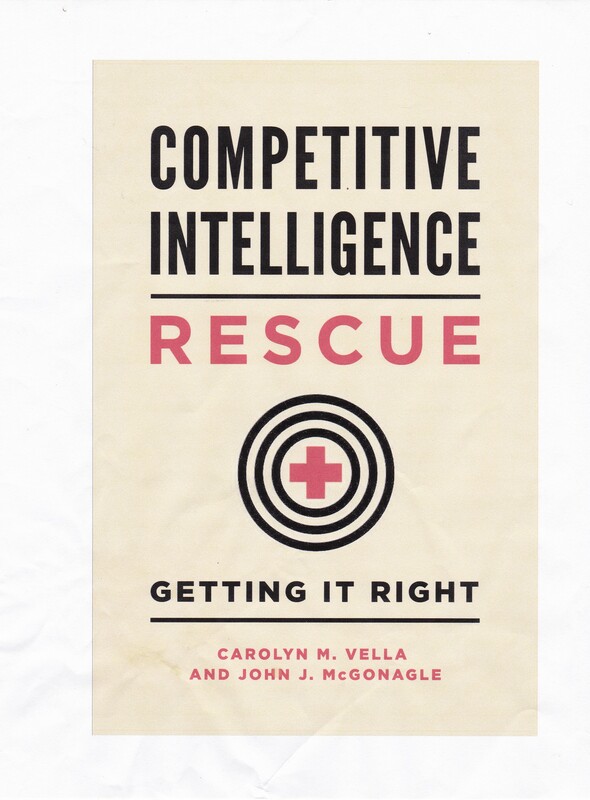 In the bibliography of our book Proactive Intelligence: The Successful Executive’s Guide to Intelligence (brief commercial there), we have listed a couple of very fine works detailing the tools that are most commonly used in analyzing competitive intelligence problems. You should review them when you can. In addition, there are several excellent books dealing with how to approach analysis itself: Improving Intelligence Analysis – Bridging the gap between scholarship and practice, Intelligence Analysis – a Target-centric Approach, An Introduction to Intelligence Research and Analysis, Intelligence Analysis – Behavioral and Social Scientific Foundations, and Analyzing Intelligence – Origins, Obstacles and Innovations. Each of these books is written primarily for the intelligence community, generally governmental. They are very important (as I have said in my reviews), but not for novices. I suggest that sometime in your career you would do well to read one or more of them. What I’m suggesting is that the experience of many in intelligence, as well as in education, is that analytical ability is not something which can be taught very easily. There are some who argue you cannot teach analytical ability at all. In fact, in the mid-1990s, a group of competitive intelligence professionals and academics, working on a project at the Society of Competitive Intelligence Professionals (SCIP), as Strategic and Competitive Intelligence Professionals was then known, worked out a very thorough outline of “curriculum modules for educational programs in competitive intelligence for use by academics and professional trainers”. Of interest us in this discussion is the fact that, in identifying specific skills necessary to operate within the CI process, they included “analytical ability”, in contrast to what they identified as teachable skills, something developed from professional experience, or something which could be learned through mentoring. Whether or not that is true, if you have any analytical ability whatsoever, you can improve and enhance it. If you intend to do any significant competitive intelligence, you owe it to yourself to do so. To do that, in addition to knowing what tools are available to you, what you want to develop is a combination of a questioning attitude with the ability to draw insights from other sources beyond those that you are looking at. I was once asked to suggest a reading list for people who wanted to become involved in CI. My response is that you should be reading all the time. And what is most important, you should be reading things outside of your business, your market space, and even CI. The more widely read you are and the more you challenge your mind, the more you will learn to analyze (or improve existing skills – your choice). In Proactive Intelligence: The Successful Executive’s Guide to Intelligence, Carolyn Vella and I have some suggestions about getting rid of your blinders by changing what it is you read and what you listen to. In terms of developing analytical abilities, I strongly suggest reading – are you ready for this – mysteries. Not books about spies, but real mysteries. Now I can argue that you would do better to read Agatha Christie and Arthur Conan Doyle, whom I like, than you would James Patterson and Jonathan Kellerman, whom I also like. The point is, as you’re reading, you are following the detective in the story. That entails following the efforts of the hero/heroine to make sense of what appears to be senseless. That does not mean you would even have to agree with how the authors approach the problems or the conclusions that they draw. That’s not the issue. Rather, it is to get yourself in an intellectual frame of mind to analyze something as it unfolds. Now to see how you’re doing on this learning effort, the next time you hear an unusual story, such as the one with former General Petraeus which is at the moment occupying headlines, ask yourself what five questions does this raise? I’m not asking you to challenge the facts being reported in this case. I’m rather pointing out that you should consider what additional facts might continue to come out. And the reason the facts will continue to come out is that someone somewhere looked at the first set of facts and then asked the next question. That is what you’re training yourself to do. Those questions will eventually lead you to conclusions. In addition to helping you learn to analyze, reading a good mystery is a great way to relax. And, if you have not learned it yet, mental and physical relaxation can be critical to beginning and then completing a difficult assignment. Robert M. Clark, 2nd Edition, CQ Press, 2007. Jerome Clauser revised and edited by Jan Goldman, The Scarecrow Press, Inc., 2008. Baruch Fischoff and Cherie Chouvin, eds. (National Research Council of the National Academies), The National Academies Press, 2011. Roger Z. George and James B. Bruce, eds., Georgetown University Press, 2008.